The story of a great queen, a woman of enormous courage who made her own rules, and a true survivour. 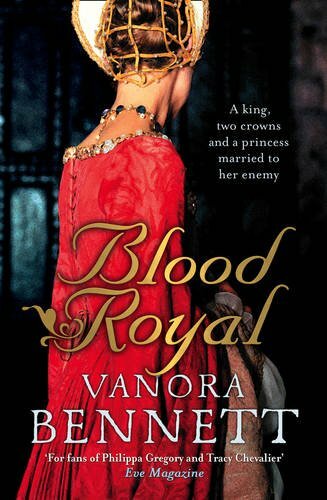 This is the first in a series of early medieval novels by Vanora Bennett, the author of ‘Portrait of an Unknown Woman’ . Catherine de Valois, daughter of the French king is born in troubled times. Though she is being brought up in a royal court, it is a stormy and unstable environment. Her only firend is the remarkable poet and writer Christine de Pizan. She is married off to Heny V as part of a treaty honouring his victory over France, and is destined to be a trophy wife. Terrified at the idea of being married to a man who is at once, a foreigner, an enemy and a rough soldier, Catherine nevertheless does her duty. Within tow years she is widowed, and mother of the future King of England and France - even though her brother has already claimed the French crown for himself. Caught between warring factions and under threat the powerful lords of the English court and her own brothers-in-law, she has to find her own way, if only for the sake of her baby son. She takes strength from the teachings of her mentor de Pizan, and the possibility that she will be able to return home to France. She is also supported by Owain Tudor, controller of her household-a dangerous support as rumours of their relationship would jeoperdise her right to keep her child. To save her son, and herself, She must turn away from her love and all that is familiar and safe to find another way forward.